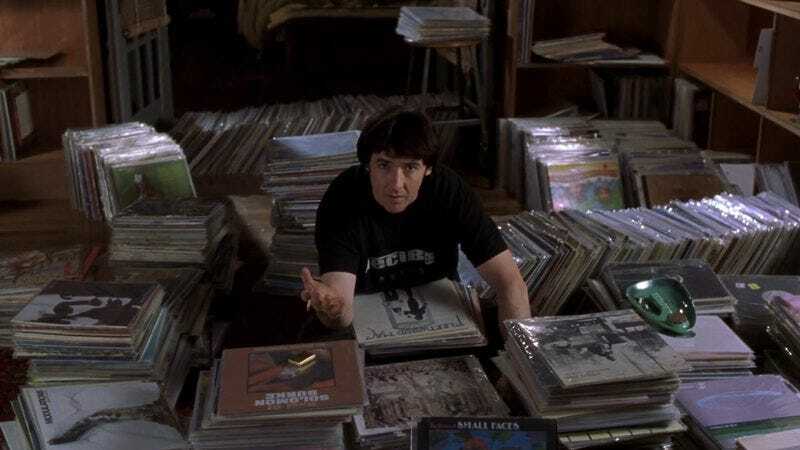 If you collect records, work at a record shop, or are an Audiophile this is a list of movies that give us record fever... the films that make us want to buy all the classics, and give us an appreciate of vinyl. That beautiful scene of the needle being dropped on the records, and the character experiencing a song for the first time always gets us. It truly is the best way to listen to music, and everything to the cover of the album gives us something to talk about. It's hard to hold back the laughter whenever they see their records for the first time in Spinal Tap. Almost a poke at The Beatles "White Album" and ACDC's "Back In Black"... Spinal Tap grasps that feeling of looking at an Album cover and thinking "Why?". The newest movie on our list is truly for the Father-Daughter watchers. Who doesn't love Nick Offerman. He owns a record store, in which the rent is too much so he has to close it. This is why you buy records local guys.... or the shop closes. Anyways. This movie really pulls on the heart strings and makes me want to shop only local. This movie films inside Canada's biggest record store, Sonic Boom... so it really does make you want to dig. It really captures the geeky musical culture of Toronto. The music in the movie is so good it's on a double LP. What I love about 500 Days of Summer and it's connection to record stores is how the store is used as a comic relief. Even in their break-up Ringo Starr "Stop" is used as a buffer to the awkward silence. It's wild how much a location can bring out the most intense debates over which Beatle is the best, and how digging through records with a lover really helps you get to know them. 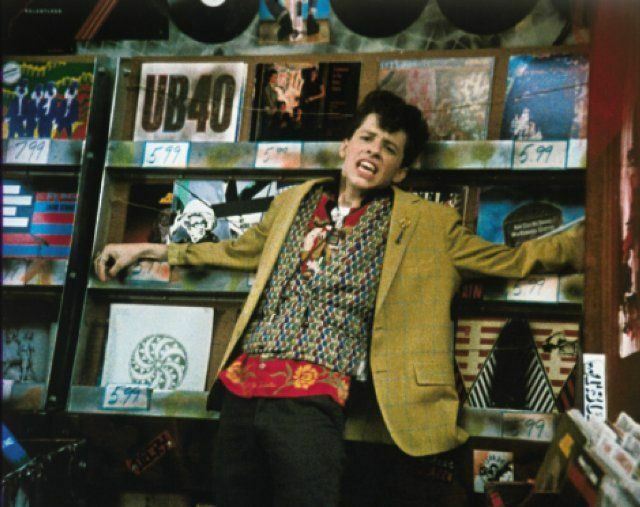 Still waiting for someone to dance into Spinster Like Duckie to Otis Redding in Pretty in Pink. It's hard not to see all the iconic 80s albums on the wall and not want to buy one. This movie will make anyone fall in love with the Psychedelic Furs and that thrifty 80s attire. How you know your an Audio geek is when you watch Clockwork Orange and you are geeking out over his Michell Transcriptor Hydraulic Reference Turntable... and he's a psychopath playing Beethoven's 9th... it just makes me want to buy all the classical music there is and drink milk. Alex's bedroom is just gorgeous, and the scene with him walking about the Chelsea Drug Store record section is just so captivating and bizarre. This movie isn't about records. The theme is much darker then that, however, the French just know how to make a record store seem like a place for peace. The scene in the record store is so charming. This movie makes me want to cut my bangs, smoke cigarettes, and listen to sad french music. This movie is English, Loud, Young, and Vibrant. That sentance felt like it needed everything capitalized. Koop is really where it's at if you are a vinyl junkie. 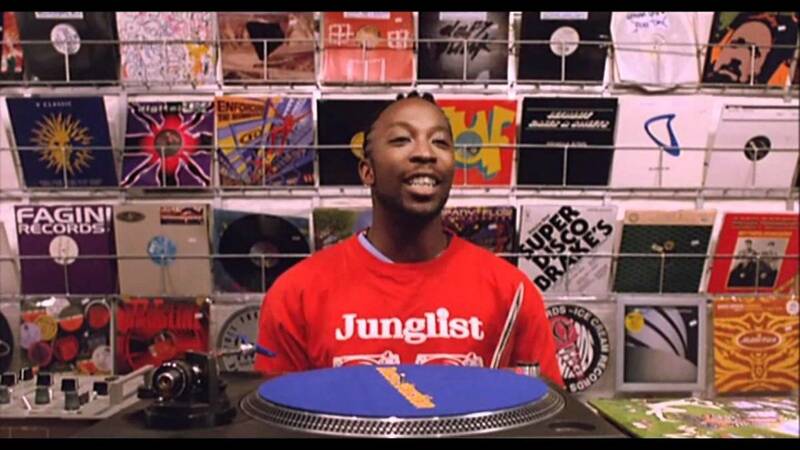 He is in the fantasy of being a famous DJ, and all the scenes of him scratching are painfully relatable for any record collector. If you enjoy Trainspotting and 90s English house music, then this movie is for you. Do you Remember Tower Records? They were all over the place, and they have a legacy left behind. This documentary will definitely bring any collector to tears. So many stories told by the music icons themselves. You will hate the internet by the end of this doc. CURSE YOU NAPSTER! Record Stores are alive again... but there was a time they were almost dead. This captures all that. It gets emotional. This romance movie is a philosophical must-see. So much sexual tension in the scene where the two strangers are in the listening booth. Something about the quality of sound and that moment where you find that sweet spot to listen to a tune.... just that moment is captured so beautifully here. Also love how they are in Europe and Dean Martin and Sinatra and in the bins shown. This, along with the next on our list, are just feel good movies based off true stories. Good Vibrations is based around the Belfast punk scene and how one man who owns a record shop brings together a community of musicians and expands their music. You just fall in love with this shop and the main character. It's funny and makes you want to buy local music and support local bands. Pirate Radio doesn't have a record store in it. However! It is all about the vinyl. The soundtrack is English mania with The Who, Rolling Stones, and The Kinks. it's so in your face 60s and delightfully funny. The movie will send you on a 60s kick for a few weeks. 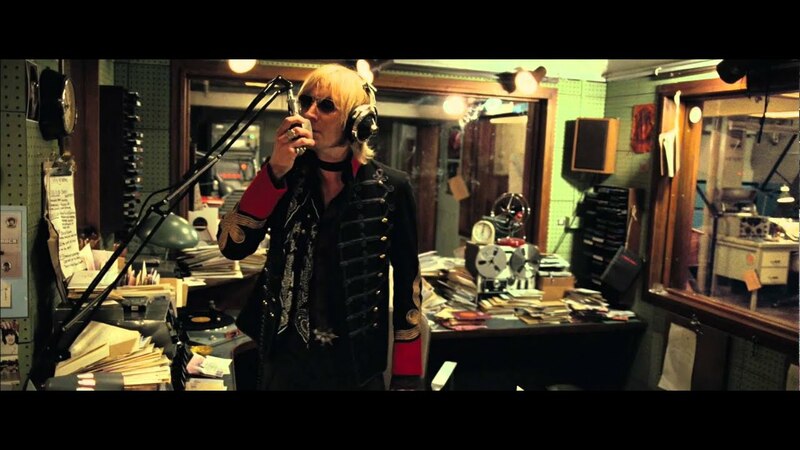 Very Similar to "All Things Must Pass", This movie is capturing the rise, fall, and rebirth of the record shop. It has been a resurgence in the past ten years which might explain so many movies surrounding the record store scene being made recently. This Documentary focuses around the English Independent record store and how it's survived through the times, and also the cultural movements created by it. It makes you want to support your neighborhood record store, and appreciate these historical spots. It really goes past the record itself, and the psychological connection we have to music. This best plaid skirt to ever be worn is Liv Tyler in Empire Records. This 90s classic is based around Empire Records in its final days with the possibility of being sold to a big chain music store and how a tight knit group that works there deals with it. It really does take you back to the 90s. 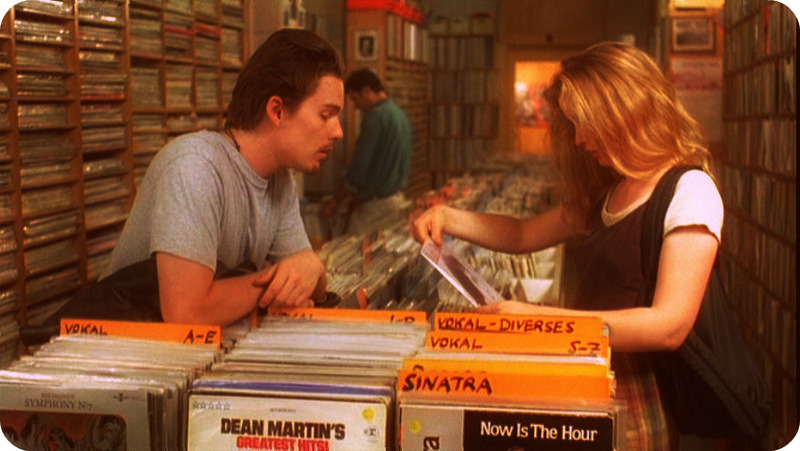 No movie captures record store culture like High Fidelity. Best Quotes, Best Soundtrack, Best John Cusack movie. Based off the novel, and transferred to Chicago... this movie is a must see. You can't really work at a record store unless you've seen it. They are record snobs.... which is hilarious. What came first? The Music or the Misery? Well... That's them. Now go watch some movies, and come see us.